This year, we've created a special shoe to coincide with the launch of our new book, The American Duchess Guide to 18th Century Dressmaking. 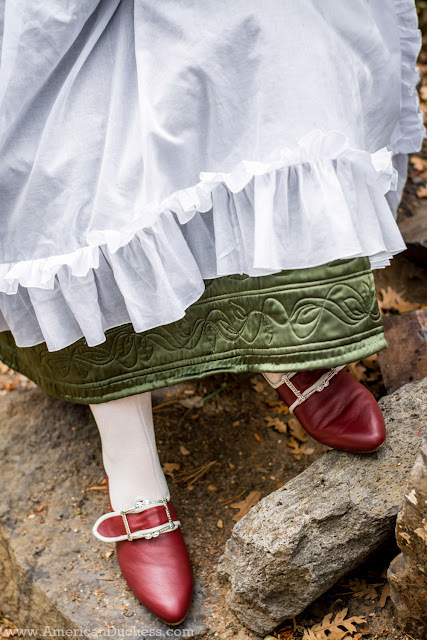 The idea came about from the shoes we created for Maggie to wear with the 1780 Italian gown - white Dunmores dyed bright red with the heels painted white. 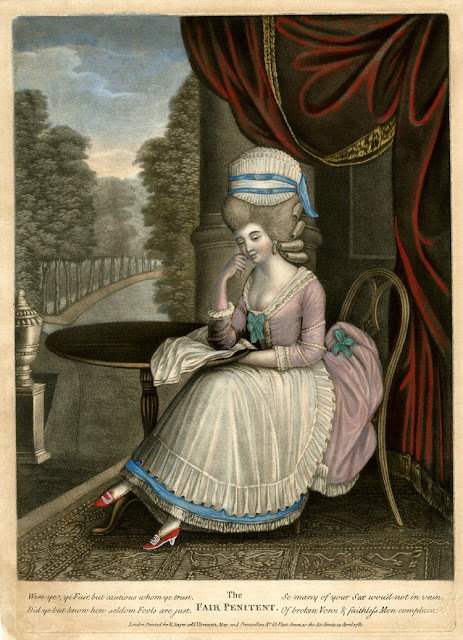 Originally only available in black wool or white cotton sateen, the allure of one of our most popular 18th century shoes in leather seemed too ripe to pass up. 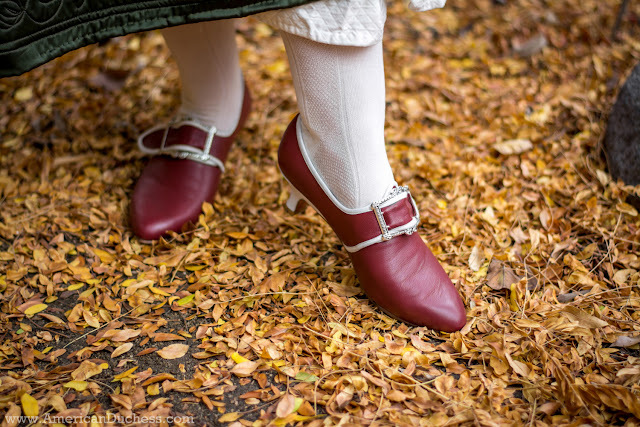 So here they are, our special holiday shoe: Red & White Leather Dunmore! 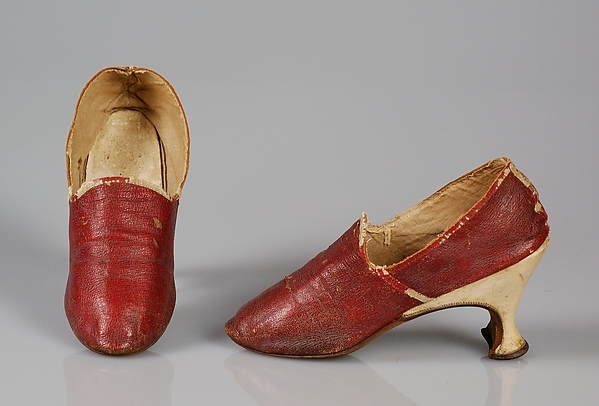 The best red leather shoes in the late 18th c. were made of Moroccan, a goat leather with a distinct pebbled finish. While Moroccan isn't available today, we developed a pebbled finish on our calf leather uppers to mimic this historic material. 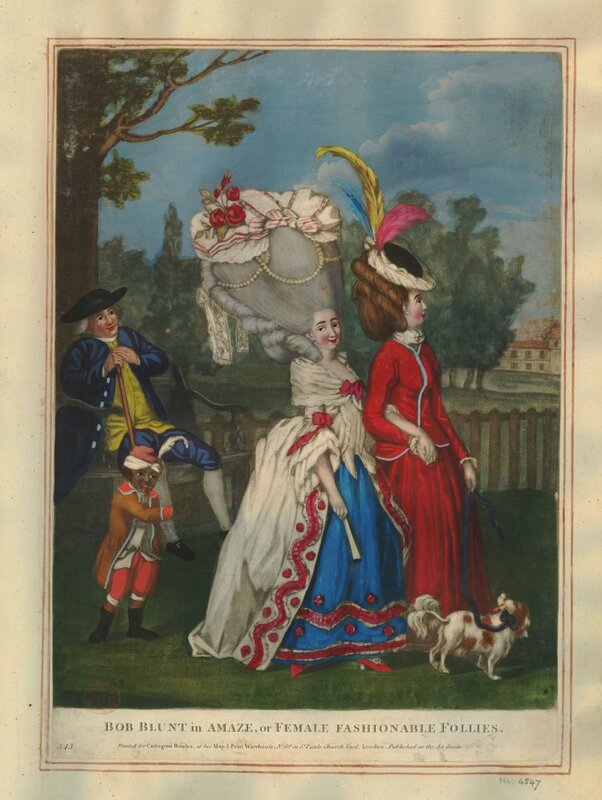 Additionally, white bound edges and the white leather heel are hallmarks of mid 1770s - early 90s ladies shoes, so we opted for leather-covered heels in white and white twill tape on the edges. 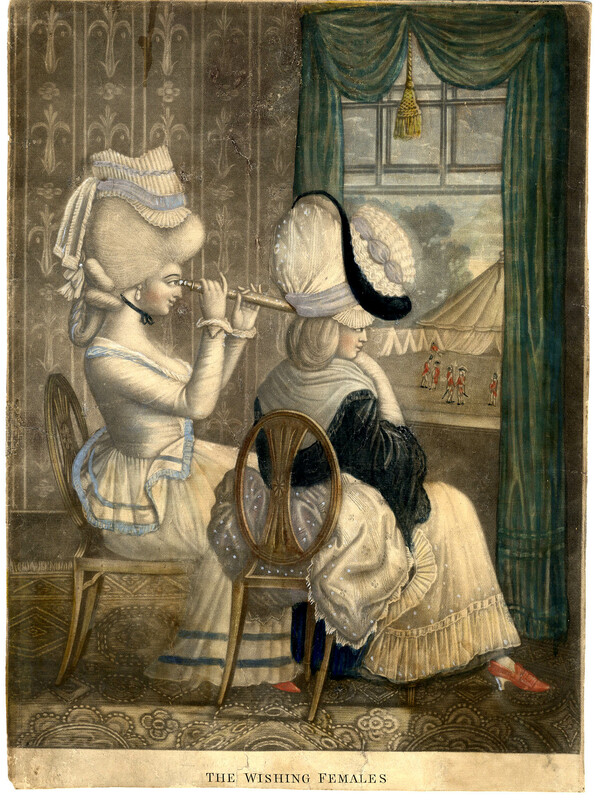 This two-tone style is one you see repeatedly in originals, prints, and paintings of the period. We're so excited about our special limited holiday Dunmore shoe, and we hope you are too! We only ran 200 pairs in ten sizes, so if you're madly in love with these, don't wait (or ask very nicely for Christmas or Hanukkah). 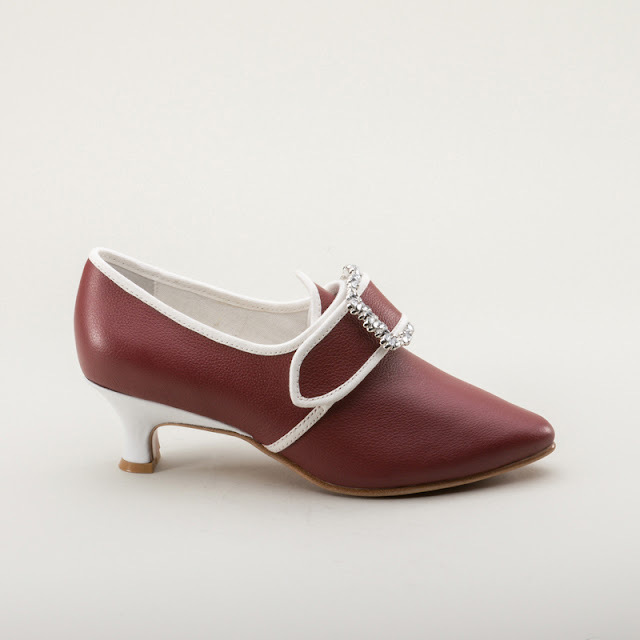 Georgian Gorgeous - "Dunmore" 18th Century Shoes in red leather trimmed in white. 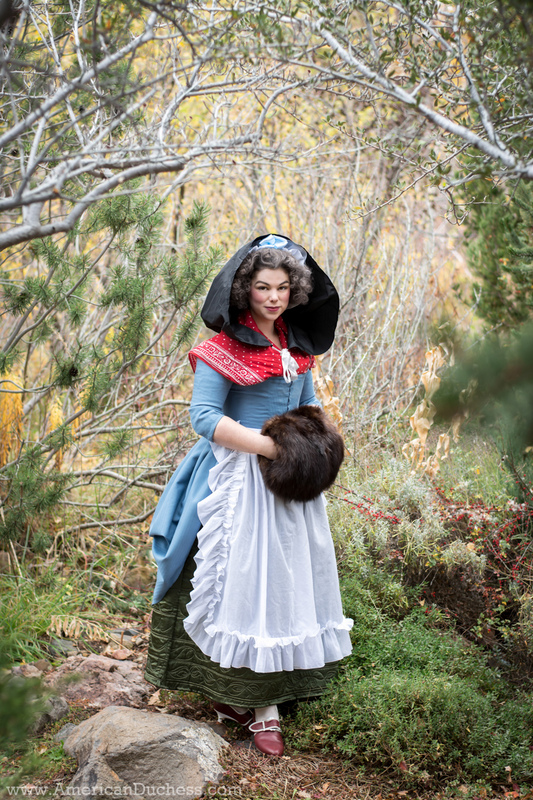 Also, for our Black Friday Sale, November 24 - November 27, we are offering a combo deal with the new red Dunmores, free buckles or stockings (your choice), and a signed copy of our book for the sale price. Skip on over to AmericanDuchess.com to check it out! Aw dang it! More AD shoes for my wish list. These are beautiful! Love the fichu...where did you find the fabric?